One Cart For All Our Banquet Chairs! This stacking chair truck is our own design. The back legs of the bottom chair fit into the right angle guards to help prevent slipping out. It is more stable than a stacking chair truck that uses the “tougue” under the bottom chair seat, as it is wider, thus more controlled. 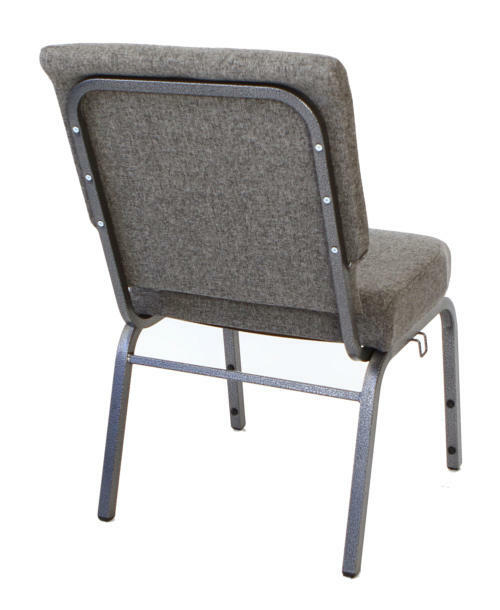 • Works with any of our stacking chairs • HEAVY DUTY! • Tires dampen the bumps for more controlled use over thresholds and other minor obstacles. • Large enough tires for most outdoor use. Are you ordering chairs, too? 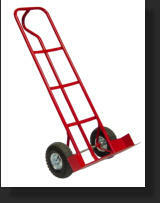 Call and ask us for a quote that includes a cart and you will receive a discount! In fact, any multiple product purchase will result in additional discounts! We will take your overall order size into account, every time.